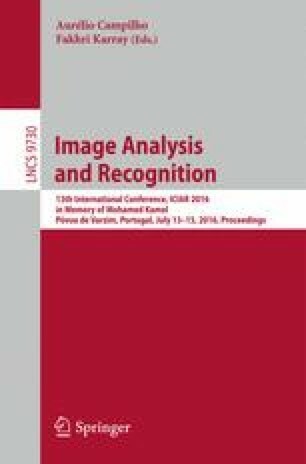 We present new results in object recognition based on color and 3D shape obtained from 3D cameras. Namely, we further exploit diffusion processes to represent shape and the use of color/texture as a perturbation to the diffusion process. Diffusion processes are an effective tool to replace shortest path distances in the characterization of 3D shapes. They also provide effective means for the seamlessly representation of color and shape, mainly because they provide information both the color and on their distribution over surfaces. While there have been different approaches for incorporating color information in the diffusion process, this is the first work that explores different parameterizations of color and their impact on recognition tasks. We present results using very challenging datasets, where we propose to recognize different instances of the same object class assuming a very limited a-priori knowledge on each individual object. S. Brandão—This research is partially supported by the NSF under award NSF IIS-1012733, a student fellowship from the FCT within the CMU-Portugal dual degree program and from the FCT under strategy grant FCT [UID/EEA/50009/2013]. The views and conclusions contained herein are those of the authors only.